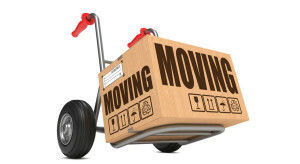 Moving your office or business is one of the most complex projects in the moving business. Every contingency must be considered to mitigate any risks of disruption or delay. At Columbia Movers, our office moving procedures incorporate our years of experience and extensive resources to ensure that your relocation goes smoothly. Selecting our Office Removals Service for your move is a one stop relocation solution to all your moving needs across Cyprus and Worldwide. No matter whether you're moving to a different floor or a bigger office across town, relocating to another part of Cyprus or even relocating abroad, Columbia Movers & Storage provides professional and dependable moving services whether bespoke or complete relocation solution to all size of businesses and corporations. Columbia Movers Relocation department operates based on your business's needs and working hours. We can move your entire building and operation system after working hours or at weekends to ensure the uninterrupted operation of your business. Columbia Movers offers a range of services related to office relocations from filing of files, dis assembly and packing of IT equipment to providing special boxes and a labeling system to your employees to sort out their own files. Furthermore, if you need document storage, excess stock storage, furniture or equipment storage, records management or archive storage while you wait for your new premises to become available, we offer a flexible, safe and secure storage solution tailored to meet your individual needs and requirements.